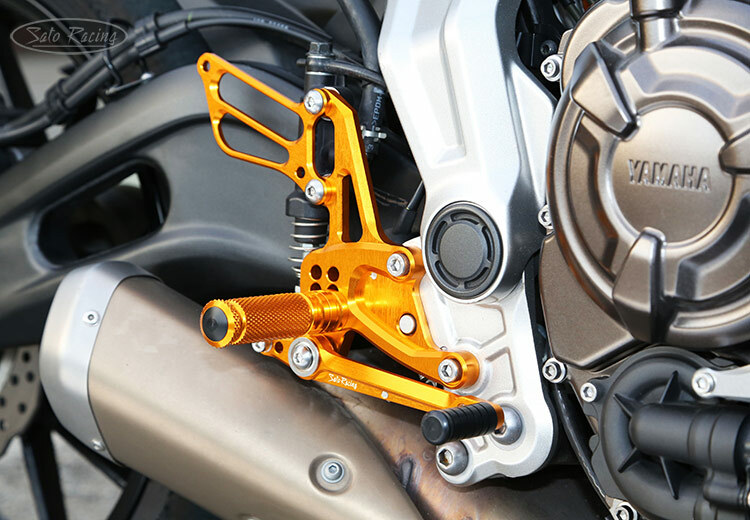 SATO RACING Rear Sets for 2014 and up Yamaha FZ-07 / MT-07 are CNC-machined out of billet aluminum with your choice of all-Black anodized finish, or Silver or Gold anodized finish with contrasting Black shift pedal assembly. 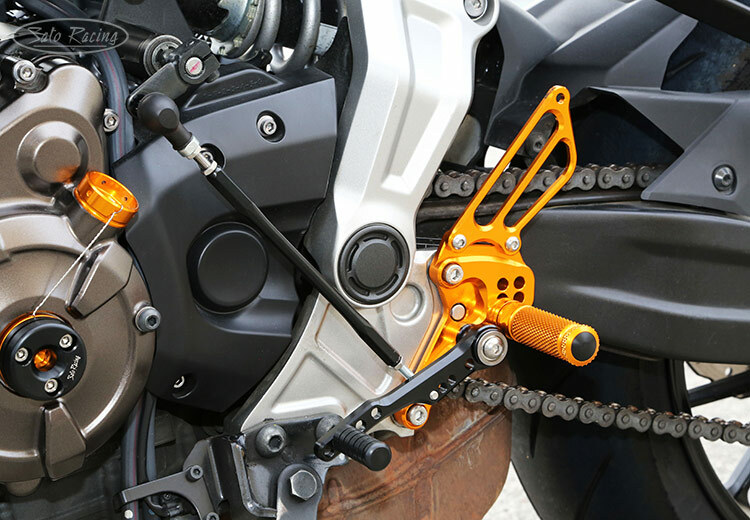 Select from 5 adjustable foot peg positions that bring your feet higher and further back compared to stock, helping you achieve a more aggressive, tucked-in body position well-suited for spirited riding. 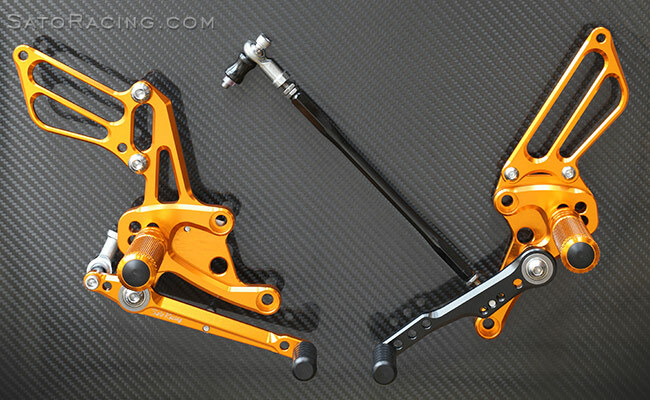 You can use these Rear Sets with the stock shifting pattern, or switch them to reverse (GP-style) shift pattern. 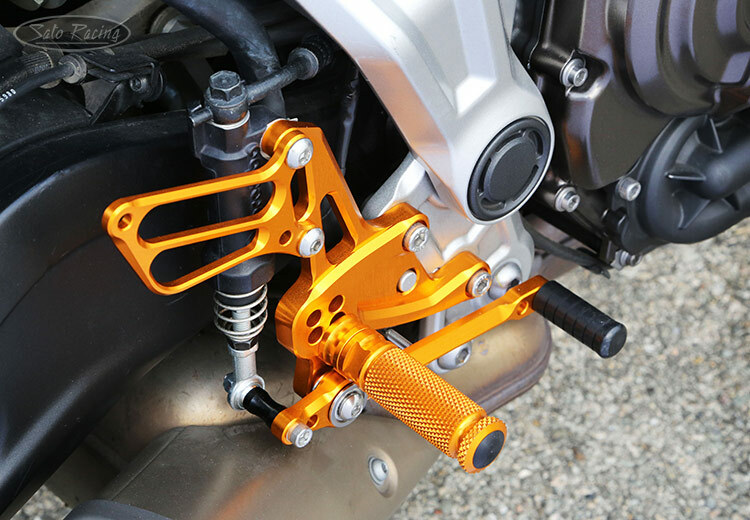 Foot peg position is adjustable 5 ways. Pedal Tip position is also adjustable. 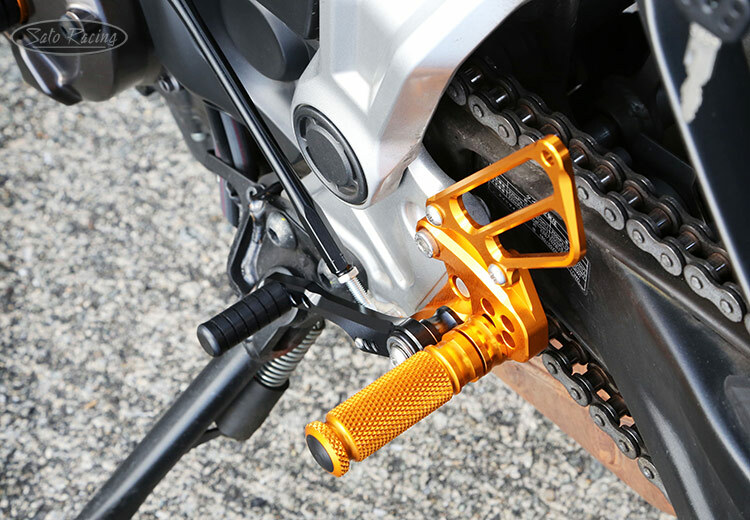 Footpegs are finely knurled for excellent grip even in wet conditions. These Rear Sets are compatible with the stock brake light pull switch. 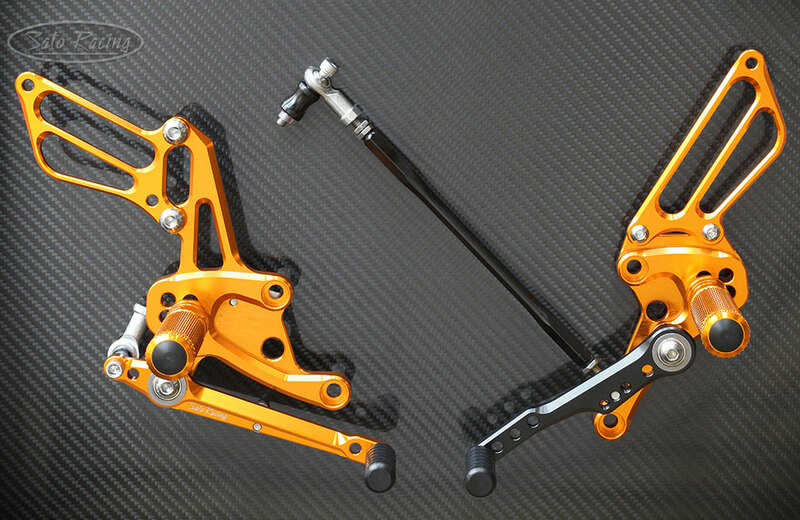 To change to reverse shift pattern, rotate the change arm 180 degrees.